Moshe Moshi and Lexi Liu are being scanned for HCM this weekend. They are not ill. We’re having the test as a general, wellness procedure. 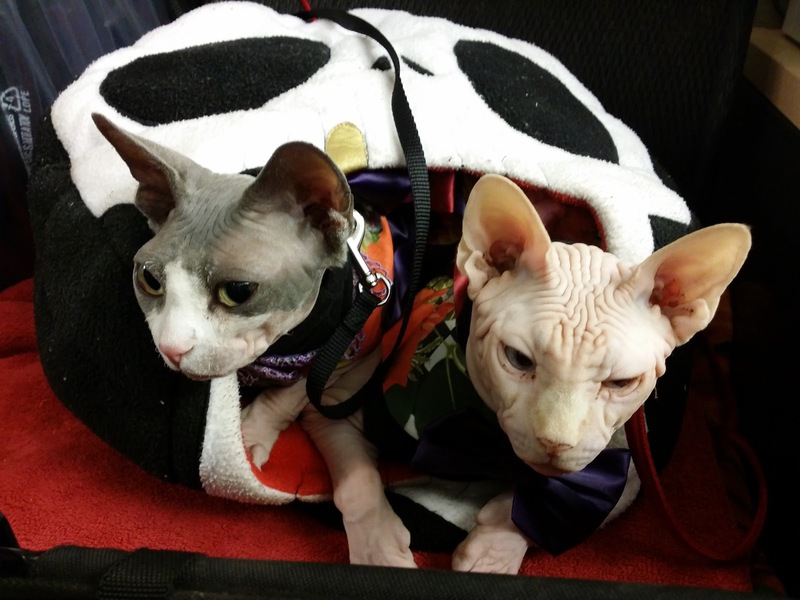 Though this is not a standard test most pet parents have done for the cats or dogs, it recommended that Sphynx Cats have scans throughout their lifetime to test for HCM. HCM stands for Hypertrophic Cardiomyopathy. Hypertrophic means enlarged, cardio is the heart, and myopathy is muscle. Hypertrophic Cardiomyopathy is the enlargement of the heart muscle. For the most part, HCM is the same in humans as it is in pets. Though heart disease can be a result of lifestyle choices and other disease processes, HCM is primarily a hereditary disease. In HCM, the inner wall of the heart thicken. This thickening leaves little room for blood to circulate, receive oxygen to pumped back into the body. To compensate the heart grows larger and works harder to maintain the bodies’ meeds. The obvious result is heart failure. Doctors (both Vets & People) will diagnose using an Echocardiogram. If the results suggest heart disease, doctors will also X-ray the heart, order an MRI, stress test and run a blood test. Treatments are surprisingly similar (medication), but humans as a last resort if fortunate can receive a heart transplant. A transplant is not an option for a pet. Any cat or dog regardless of breed can develop HCM. Sphynx as a breed is found to have a larger genetic susceptibility to HCM. Unfortunately, this is due to breeding practices. Veterinary medicine has advanced incredibly, but only in recent years. Access to Cardio Specialist much less the apparatus to test for these types of diseases is also relatively recent. Today, however, it is imperative that breeder test for HCM so as not to pass this on to the next generation. If you are interested in adopting a Sphynx, make sure to inquire about Heart scan results for the Dam and Sires. If the breeder does not scan, I will take a pass on adopting from that breeder. 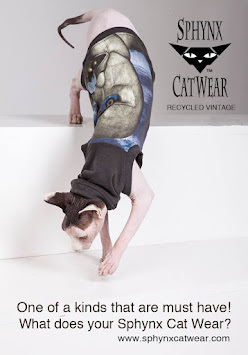 That is not a guarantee that a Sphynx cat who does not have HCM will not produce a kitten without HCM, but testing before breeding is the responsible thing to do. With the advancements in pet medicine and access, the cost of this level of access can be prohibitive. Echocardiograms alone can cost anywhere from $600 to $1,000 USD. I have pet insurance that includes coverage for breed-specific issues (Nationwide), and other companies cover the cost partially (Pet Insurance is a good thing, really). Still, the sticker shock can deter some from testing. We are attending an organized “clinic.” Some service providers offer low-cost Echocardiograms if collectively a larger number of owners show up on a predesignated day to have the procedure. Group discounting is a common practice within the cat breeder community. The clinic I’m attending will have many breeds of cats and some dogs too! The average cost I’ve seen for clinic panels run between $150 and $250 USD. The Echocardiogram is a non-invasive, baseline test, meaning that the cats have no previous diagnoses of HCM or this is their first ever scan. If either test positive for HCM, then they will be under the care of a Cardiologist closer to my home for scans and medication. Both Moshe Moshi and Lexi Liu have previous studies, although I hadn’t had Moshe Moshi scanned for years (bad mama). We will do a FaceBook live feeds on the way to Towson, Maryland, and post about our experience and the results next week after Yom Kippur.